It's been quite the journey to get Solo: A Star Wars Story to the big screen and tonight is the night that it all pays off. The movie will be screened in Hollywood for the cast and crew as well as members of the press who will see the Star Wars spin-off 2 weeks before the general public. That being said, there will more than likely be spoilers hitting the web after tonight, so beware of certain sites and forums if you wish to go in spoiler-free. As with most Star Wars movies, Solo has been shrouded in mystery since production began. Even though we've seen teaser trailers as well as official full-length trailers for the movie, we still don't have a firm grasp on Alden Ehrenreich's young Han Solo. Additionally, the main plot has been kept under wraps along with the main villain. Previous fan theories thought Emilia Clarke's Qi'ra could possibly be Enfys Nest, but those theories have now been debunked thanks to some new footage that shows both characters in the same scene. 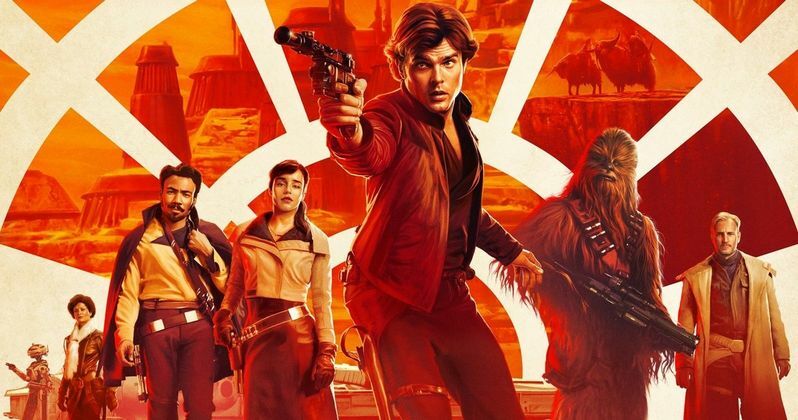 Fans will finally get to see Alden Ehrenreich's young Han Solo alongside Donald Glover's Lando Calrissian tonight, which is definitely exciting. Additionally, Ron Howard, the cast, crew, and Lucasfilm will see the culmination of all of the hard effort that went into getting Solo: A Star Wars Story on to the big screen. Again, you can watch the world premiere live tonight, starting at 5PM Pacific time and watch the stars of the movie get ready to see it for the first time. You can watch the world premiere red carpet event for Solo: A Star Wars Story at the Star Wars YouTube account.